Year-Round tropical weather makes the Caribbean a perfect getaway! 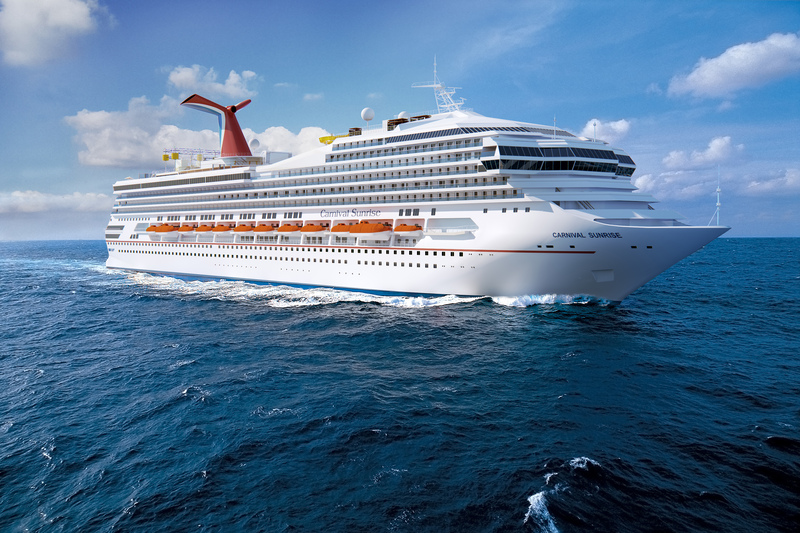 Head to the Eastern Caribbean sailing roundtrip New York next summer on the newly enhanced and upgraded Carnival Sunrise! Visit these must-see islands of San Juan, Puerto Rico; St. Thomas, USVI; and Grand Turk. The reimagined Carnival Sunrise will feature a variety of new dining spaces, bars, and an expanded spa. There will also be new open-air fun and relaxation spots such as SportsSquare open-area recreation complex, WaterWorks water park, and a Serenity Adult Only Retreat. The Sunrise enhancements also include the redesign of two luxurious Captain’s Suites adjacent to the navigational bridge offering floor-to-ceiling windows and extended balcony grand suites. All of the ship’s staterooms will be updated to offer island-inspired interiors with bright colors and soothing pastels inspired by the line’s Caribbean itineraries. Book Now for Great Past Guest Rates and Stateroom Category Upgrades! Aug. 27, 2019 Mon. New York 4:00p.m. Aug. 30, 2019 Thurs. San Juan, Puerto Rico 3:30p.m. 11:00p.m. Aug. 31, 2019 Fri. St. Thomas, USVI 7:00a.m. 3:00p.m. Sept. 1, 2019 Sat. Grand Turk 1:00p.m. 7:00p.m. Sept. 4, 2019 Tues. New York 8:00a.m. Prices are per person based on double occupancy, availability and subject to change without notice. Cruise line taxes and fees are additional at approximately $191.52 per person. Above fare is for past passengers only. Other fares are available upon request. Other restrictions apply. Ships' Registry: The Bahamas, Panama & Malta.